As many of us grumble about the exorbitant price of match tickets or cable packages needed to watch football, and shake our heads at the ludicrous salaries even players of average ability bring home, one club is doing their part to help a resident of their community. 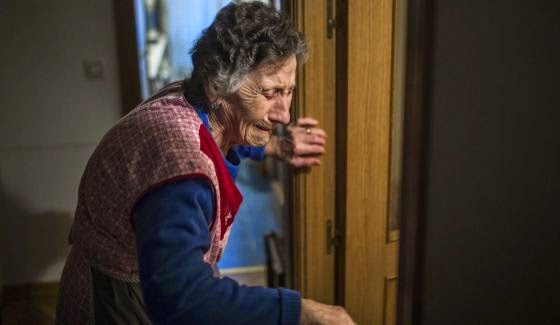 Rayo Vallecano, who play in the Vallecas district of Madrid have come to the aid of 85 year old local resident Carmen Martinez Ayuso, who is facing eviction from her home of five decades. The senior citizen lost her home after her son, unbeknownst to her, put his mother's apartment up as collateral on a €40,000 loan he was unable to pay off. After the death of her husband the ownership of her home had passed to her son, so legally she could do nothing when seven police vans turned up at her property to turf her out onto the street last week. The retired cleaner was left with nothing until Rayo coach Paco Jémez and his club stepped in to help. 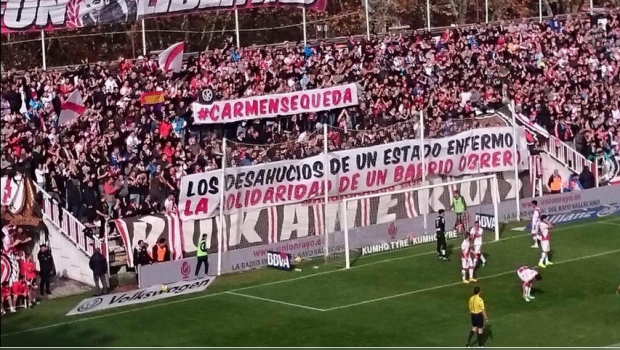 Rayo Vallecano, a club who has many fans with left wing leanings that are against state allowed evictions, have said that they will help her find other accommodations and pay her rent for the rest of her life. It's a great move by a club that is by no means one of the richer sides in Spain and reminds us that rather than being 'sports franchises' some clubs out there are still true to their roots of being a part of their local community. Tip of the cap to Rayo Vallecano and all the best to Seniora Ayuso in finding a suitable new home.